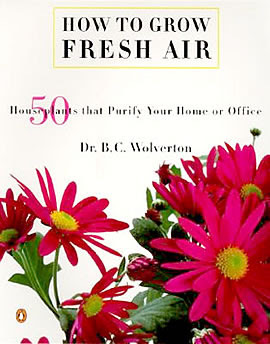 I'm trying to put together my Christmas list (per the request of my family) and I came across this book: How to Grow Fresh Air. It's all about the 50 best houseplants to remove indoor pollution. 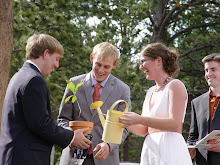 I know lots of you are choosing potted plants to use as sustainable centerpieces. This book might give you some good options for plants to choose. It could also be fun to attach a little tag explaining why you chose the plant you did. 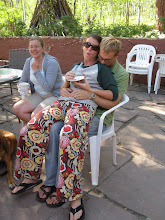 It might inspire some of your guests to think about the potential toxins within their own homes. P.S. 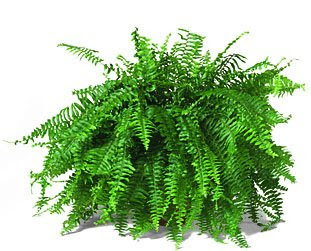 The plant featured above is a Boston Fern, which is apparently one of the most efficient plants for removing formaldehyde, the most common indoor pollutant. i love this idea! also, before you get the book, if you can't wait, you can also google nasa clean air plants. they actually did a study at nasa about which plants clean the air! 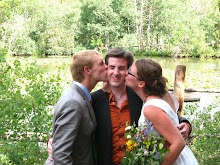 … where readers can post questions about how to make their weddings and other celebrations more eco-friendly, or they can email them to me, and I respond with the answers. 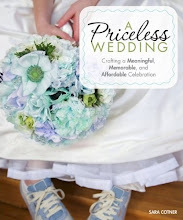 The blog is based on my latest book, “How To Get Married In Green: have an eco-friendly wedding without compromising on style,” which was published recently. …although of course it’s available on all Amazons, not just the UK version, and is in most good book stores worldwide.